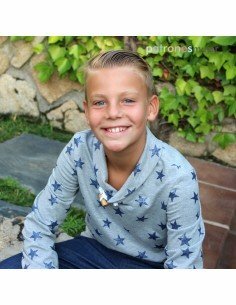 Patterns of boy sweatshirt, in sizes 1 year to 10 years. The pattern consists of 20 pages. DOWNLOADABLE SKIPPER, choose, download and print your pattern instantly. 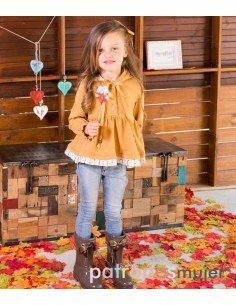 Patterns of girl sweatshirt, in sizes 1 year to 10 years. The pattern consists of 18 pages. DOWNLOADABLE SKIPPER, choose, download and print your pattern instantly. Recommended fabrics to make set : Sweatshirt fabric. calculated depending on the width of the fabric used. In this case it was 60 inches. The seam allowance and the hem are one centimeter (⅜ inch). Available in sizes 6 months to 6 years. Difficulty: Easy DOWNLOADABLE PATTERN, choose, download and print your pattern instantly. 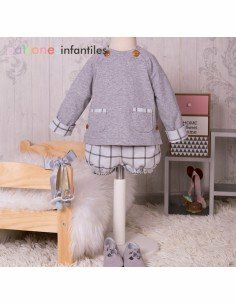 Available in sizes 2 to 10 years. Difficulty: medium DOWNLOADABLE PATTERN, choose, download and print your pattern instantly. T-shirt and diaper cover pattern with turorial video for making, is size 1 to 7 years. The pattern consists of 20 folios. DOWNLOADABLE PATTERN, choose, download and print your pattern instantly. 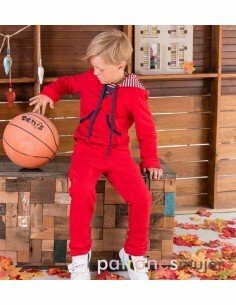 Shirt and pants outfit pattern with turorial video for making, is size 3 to 12 years. The pattern consists of 25 folios. DOWNLOADABLE PATTERN, choose, download and print your pattern instantly. 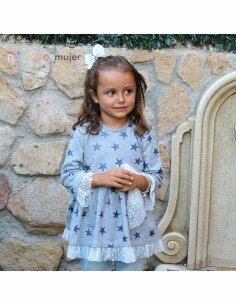 Dress pattern with video tutorial for its preparation. 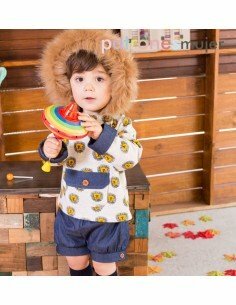 He is from size 1 month to 36 months. It consists of 17 folios. DOWNLOADABLE PATTERN, choose, download and print your pattern instantly.